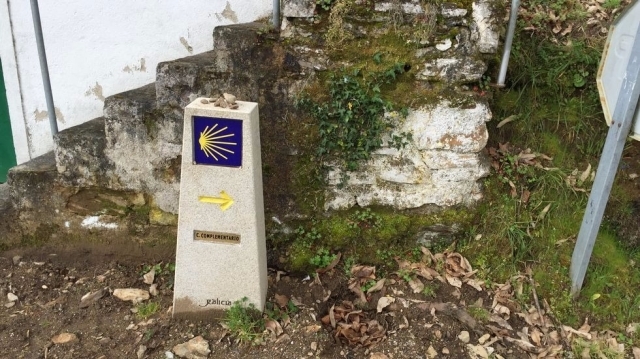 En route to Compostela, pilgrims must only follow the path of yellow arrows. But it is not always easy. At least it is less so since the regional government has signaled thirty alternative routes other points of French Road, the busiest of all who bear to Santiago. One of those is to Portomarín.In the original route pilgrims they walked down a path that ended at the road linking Portomarín with O Páramo. It is a fairly wide track and the stretch of asphalt that ran has little circulation. The new runs in its final stretch by a path on a steep slope and slightly wider than a person. The scenery is nicer than the main track, but the days that there is a greater influx of pilgrims will become a funnel, especially in the hours of more competition. The bottleneck in which expected this additional route will become necessary to add another drawback: the danger. Because it ends right on the road linking with Paradela and Portomarín Sarria, in an area of curves, busy, poor visibility and where vehicles often move quickly. And some have decided to save you having to choose the pilgrims. The cairn located at the exit of Portomarín sending pilgrims by San Roque lasted just a few days in place after someone by force from rennet. Now there is only one way in which complementary read.